The Connacht champions face Ghaoth Dobhair in the All-Ireland club semi-final in February. Ian Burke at the launch of Future Proof Media. COROFIN’S GALWAY PLAYERS are serving two masters over the coming weeks, training one night a week with the county side while they prepare for an All-Ireland club semi-final against Gaoith Dobhair on 16 February. A run in the All-Ireland series traditionally meant players did not join county set-ups until after their interests in the club championships were over, but the likes of Ian Burke and Liam Silke are keeping one foot in the Galway camp in a busy start to 2019. Kieran Molloy, Dylan Wall and Bernard Power are the other Corofin players who are expected to be involved with the Tribesmen this year. “It’s a good complaint for the Corofin lads that we’re still going with the club,” says Burke. We’re in training for the last while and this week again with the Galway lads. It’s nice to get in there as well and up to speed with what them lads are doing and just learn all that goes along with playing inter-county football for Galway. Reports from Kerry indicate Dr Crokes’s county contingent are also involved with the Kingdom once a week, as Peter Keane prepares for his debut campaign in charge of the senior side. It’s an interesting position Burke finds himself in as Galway operate under Gaelic football’s experimental rules for the pre-season competitions and, potentially, the Allianz Football League. The All-Star forward is one of the game’s best proponents of the handpass and he assisted a high percentage of Galway’s scores by hand during their run to the All-Ireland semi-final last summer. With four consecutive handpasses now outlawed under the propsed rules, there’s a danger that talented forwards like Burke will be severely limited in attack. “It’s an interesting one,” he says. “I was looking at the rules there and I suppose they are proactive in a way, trying to get Gaelic football moving by cutting out the hand-passing and slow build-up play and things like that. “I’d probably want to see it in action a couple of times to see how it plays out. I would use the handpass quite a bit so it could be interesting to see what to do if there are three hand-passes given in. If there’s a guy going down on the goal-line and you have to pop it and it’s called back, then it wouldn’t be good in that regard, but I understand what they’re trying to do in terms of moving the game on and making it quicker and faster. Burke believes the return of Cillian McDaid and Silke will greatly strengthen Galway’s panel this year as they look to build on 2018. 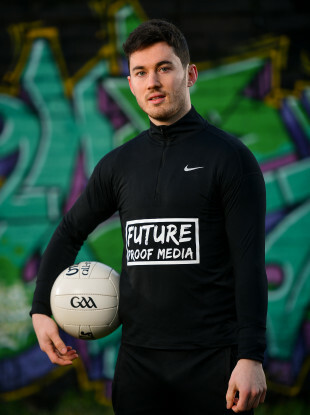 McDaid, who starred in the county’s run to the All-Ireland U21 final in 2017, has returned from a stint in the AFL with Carlton. Silke, meanwhile, opted out of the county set-up last year and spent the summer playing football in Boston. “It’s good to have new lads in there to freshen it up. It’s obviously well needed. New lads are always welcome. They bring a different dynamic to the environment and it’s good to have those lads back. “There are one or two others who are coming in as well. It’s exciting times for Galway. It’s going to be a good year hopefully. It’ll be a tough challenge too, but that’s inter-county football. We’re looking forward to getting back into it and giving it a good crack. There’s big challenges coming along this year. “The league is the first thing we’re really focusing on. We have to deal with Mayo on Sunday too so that’s a huge challenge given where they are. They seem to be flying, they have James Horan back and all that goes with that. So that should be an interesting game in Tuam on Sunday. Burke also paid tribute to former Galway coach Paddy Tally, who left Walsh’s set-up to take over his native Down. Email “Corofin's county players back training with Galway in busy start to 2019”. Feedback on “Corofin's county players back training with Galway in busy start to 2019”.